today, i decided to try neutrals. i am and i think will never be a fan of these shades but for today, just for the heck of it, i tried some of the samples i got from my mom who bought full sizes of these shades. 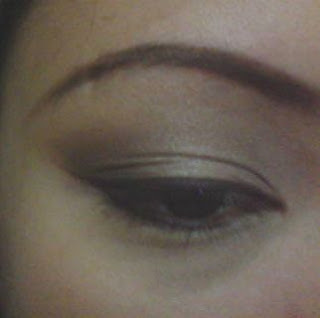 be warned though, that i am "just" a makeup addict and not an expert so please forgive me for my EOTD attempts. 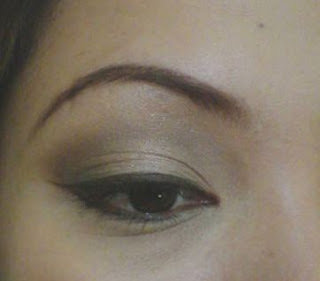 believe me, i've been trying so hard...but i just cant blend these friggin' (but adorable) shades. hmp, in as much as i wanted to take these off, i have to wait for a couple of hours more before i can go home and throw my sample pots of these shades to the trash bin. the colors may not suit me, but what the heck, i need shades like these for days i wanna look "more" formal.